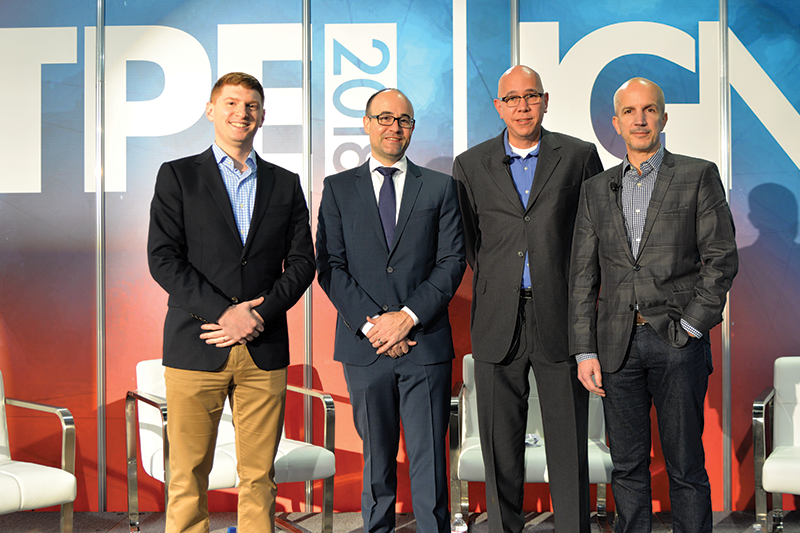 Four experts discuss issues and legislative challenges facing the premium tobacco industry during a special panel at Tobacco Plus Expo (TPE) 2018 in Las Vegas. 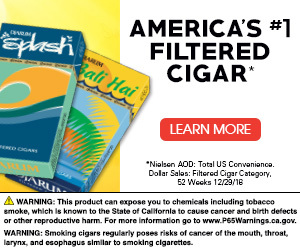 As the premium tobacco and vapor industries are increasingly falling under the scrutiny of anti-smoking forces, questions about compliance with legislative, legal and regulatory initiatives on the local, state and federal levels dominate a tobacconist’s mind almost as much as what products to sell. Four experts who face these various issues every day gathered at the 2018 Tobacco Plus Expo to try to shed some light on the regulatory challenges facing tobacconists. The panel consisted of Craig Cass, a retailer who owns five Tinder Box stores and the Tobacco Trader tobacco outlet in North Carolina and South Carolina and is a former president of the International Premium Cigar & Pipe Retailers Association (IPCPR); Hoo Tjhiang Han, director of tax and legal compliance at Kretek International; Noah Steinsapir, Kretek International’s chief legal officer; and Daniel Trope, director of federal government affairs at the IPCPR. Echoing Cass’ comments, Trope added that organizations such as the IPCPR and the Cigar Association of America (CAA) were working hard to present a united front in the fight to protect the industry. Regarding the U.S. Food & Drug Administration’s (FDA) path to regulating premium tobacco, Steinsapir noted that there is still a lot of confusion regarding what the FDA will ultimately do, though he wasn’t optimistic that the FDA would turn back from its current rules regarding premarket tobacco product applications and substantial equivalency. Steinsapir warned that the lawsuits challenging aspects of the FDA’s regulatory oversight of premium tobacco might not be resolved for years to come. “From an FDA perspective, there’s no real clarity as to where we are going,” said Steinsapir, general counsel for Kretek International, who said that he reads tweets from FDA Commissioner Scott Gottlieb to get a bead on what the agency has planned. Steinsapir acknowledged that multiple factors are at play in shaping the legislative and regulatory landscape, from state and local legislative activity to the political climate. However, signs seem to suggest that the agency is primarily targeting cigarettes rather than vapor products and cigars. Still, the agency has continued to resist the idea of embracing harm-reducing alternatives to combustible cigarettes, noting that there’s no way to prove that such alternatives will not serve as a “gateway” to smoking for current nonsmokers. While the various lawsuits against the FDA might delay the rollout of its regulatory authority, Han encouraged retailers to get involved at the local level. Some municipalities have passed flavor bans and age 21 buying restrictions in addition to public smoking bans and higher tobacco taxes. Cass agreed, saying that he was far more worried about state and local laws than he was concerning federal legislation. The best way to challenge these initiatives is to get to know your local representatives and invite them into your store so that they can see what premium tobacconists really are. To be sure, change is coming to the industry and tobacconists must be able to adapt to the upcoming transformation, but Cass once again stated that the industry could survive.